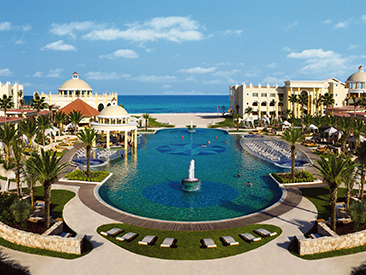 Iberostar Cancun boasts impressive, Mayan-inspired architecture and caters to all ages, featuring ocean view rooms, gourmet restaurants, a full-service spa, an on-site convention center and an 18-hole golf course. Iberostar Cancun Star Prestige is an all-new, thirteen-story oceanfront tower for adults only in the heart of Cancun's Hotel Zone. 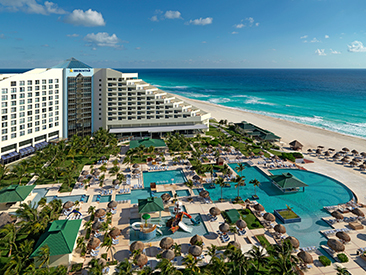 With full access to Iberostar Cancun, which was recently awarded the AAA Four Diamond Award, along with several other awards over the last ten years, this resort is one of Cancun's grandest hotels. 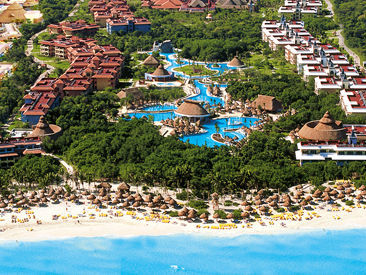 Guests of Iberostar Cancun Star Prestige enjoy extra perks, from concierge service to a private beach area and more. Situated on nearly 200 yards of white sandy beach with the Palancar Reef just off-shore, this family-friendly, divers paradise is surrounded by lush tropical gardens with well-appointed rooms in one and two-story charmingly rustic bungalows. The Iberostar Hacienda Dominicus complex is beautifully designed to blend harmoniously into the surrounding La Romana landscape with elegant, spacious guest rooms, situated in seven two-story buildings with inner courtyards. Impressive adults only hotel in the Iberostar Rose Hall complex situated on a beautiful stretch of white-sand beach with all-suite accommodations, a comprehensive activities program, buffet and a la carte restaurants. 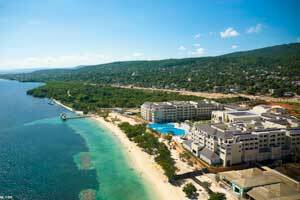 Located on Montego's most exclusive beach, the Iberostar Rose Hall provides the perfect atmosphere for a great vacation with 24 hour all-inclusive fun, a kids club, several dining options and a PADI dive center. All-suite hotel in Iberostar Rose Hall complex with excellent specialty restaurants, concierge service, supervised children's program and on-site PADI dive center and water sports of all kinds on the beach. 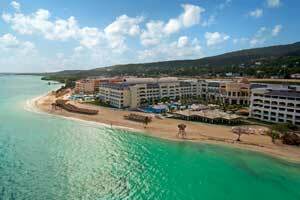 The Iberostar Costa Dorada features a full array of activities to enjoy during your stay, or just relax on the beach--it's up to you. The hotel is designed to provide fun for children, teenagers and adults, offering a wide variety of activities throughout the day and into the night! Kick back and let your cares wash away in the dazzling sea. Add a relaxing massage in the spa; enjoy a multitude of top notch restaurants. Kids Club and well-equipped fitness center available. 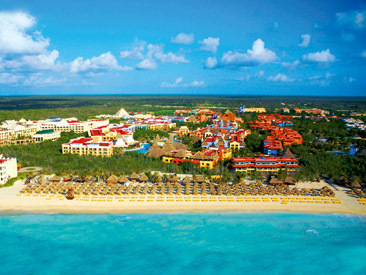 Exchange privileges within the Iberostar complex. Located on Playa Bávaro, this vibrant resort is full of life offering family-friendly hospitality with activites galore for all ages, fabulous gift shops, nightclubs, a wide variety of dining options and a beautiful white sandy beach with magnificent sunsets. 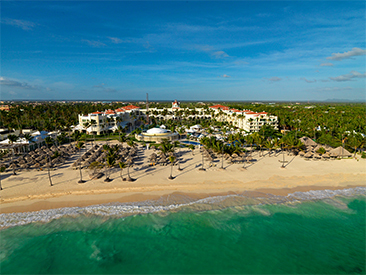 Iberostar's first adults only "All Suites Hotel" in the Dominican Republic, the Iberostar Grand is located on beautiful Bávaro Beach and provides unparalleled service, extraordinary amenities and exceptional cuisine. Welcome to the 452 room IBEROSTAR Playa Mita, IBEROSTAR's newest, extraordinary destination, gracing the shores of Riviera Nayarit. 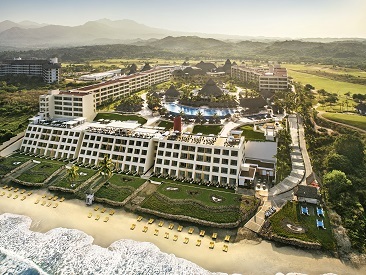 The all-inclusive IBEROSTAR Playa Mita continues Iberostar’s long-standing tradition of creating unforgettable destinations for families and couples alike. 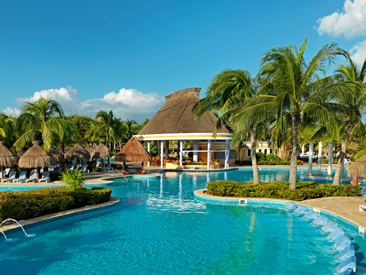 Iberostar's first adults only (18+) all suites hotel in Mexico, where guests enjoy unparalleled service with oversized Jacuzzi suites, extraordinary amenities, a couples-oriented spa and exceptional cuisine. 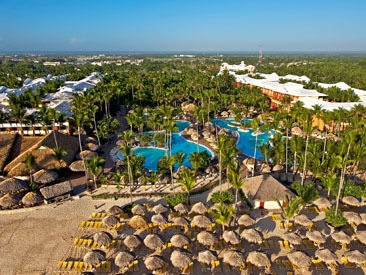 The Iberostar Paraiso Beach is located on the magnificent Playa Paraiso in the exclusive Iberostar Playa Paraiso Resort mega-complex. The resort's bungalows are located in three-story bungalows surrounded by lush gardens and around a sprawling freeform pool. 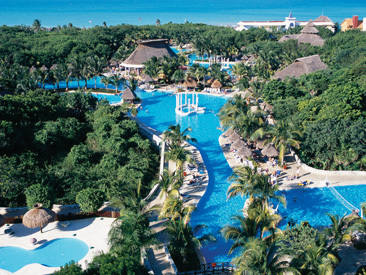 Part of the expansive Iberostar Playa Paraiso Resort complex, this impressive Mexican colonial-style beachfront gem is a family's dream vacation destination with sports and activities galore, lots of dining options and one of the largest pools in the entire Mayan Riviera. 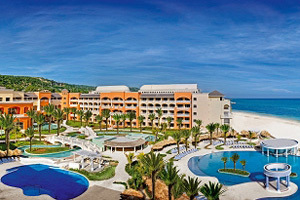 The all-inclusive Iberostar Paraiso Lindo is located beachfront and is part of the mega Iberostar Playa Paraiso Resort complex, one of the area's most popular vacation destinations for all ages and all tastes. 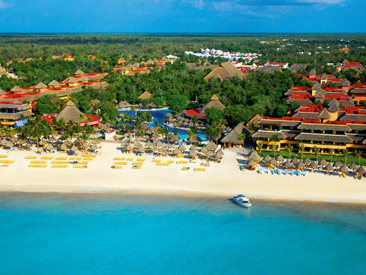 Escape to Iberostar Paraiso Maya and give yourself up to total luxury. Rich architectural details will allow you to experience the enchantment of an authentic Mexican temple. 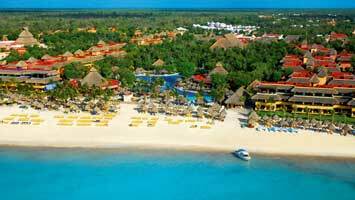 As part of the Iberostar Paraiso Maya 5-hotel complex, guests enjoy many luxurious shared facilities. 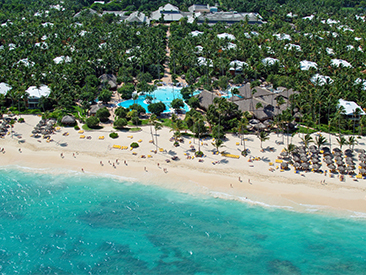 Individual bungalow-style buildings keep in perfect harmony with the lush beachfront surroundings. 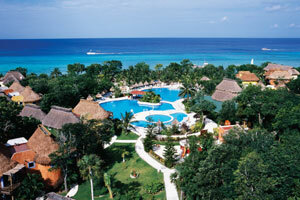 Enjoy 2 acres of pools, a modern spa, an on-site dive center, nearby golf, great all-inclusive dining options galore. Stay at One, Play at Two! Located just minutes from Playa del Carmen, the hotel is made up of 3-story bungalows surrounded by tropical gardens and is a Green Globe certified resort. Numerous pools, a unique natural environment and plenty of dining options and activities make this an ideal destination for all ages. 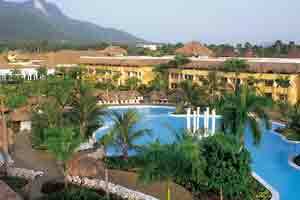 Enjoy privileges at adjacent Iberostar Quetzal hotel. I consent to receiving promotional emails from Vacation Express and its affiliated companies.